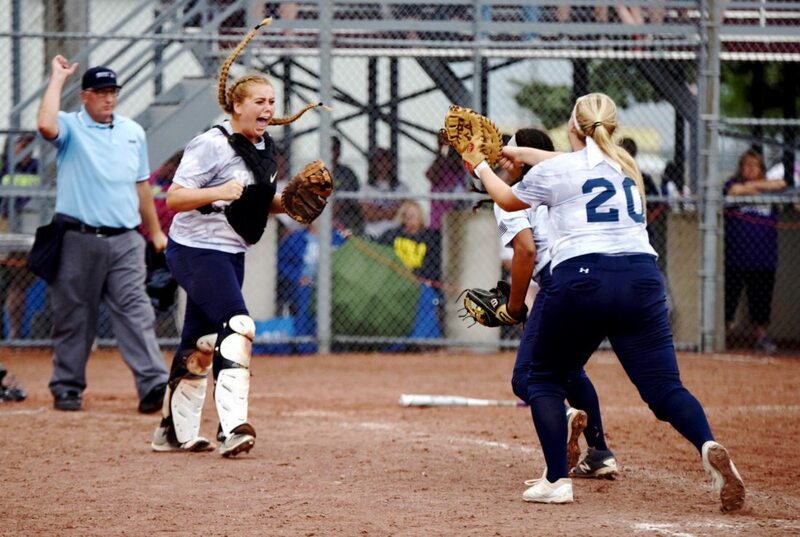 Pleasant Valley wasn’t going to let this year’s title game come down to the final at-bat. 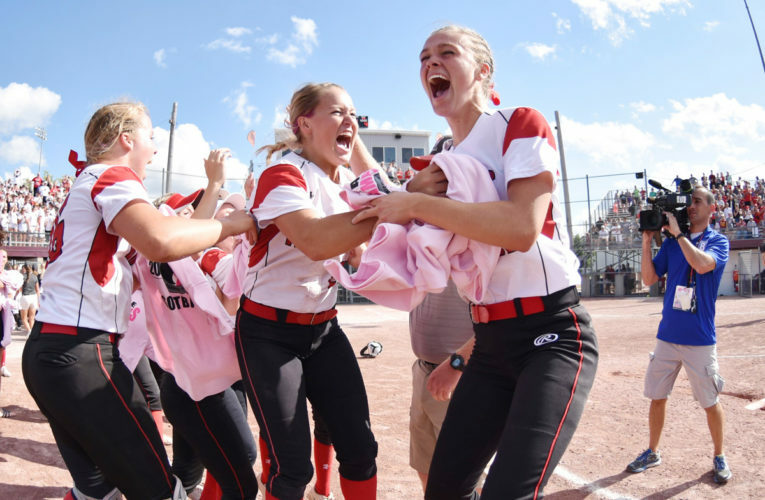 A year removed from being on the Class 5A state championship doorstep, the Spartans (35-8 overall) entered Friday’s Class 5A title contest against top-ranked Waukee (40-4) with a whole new gameplan. 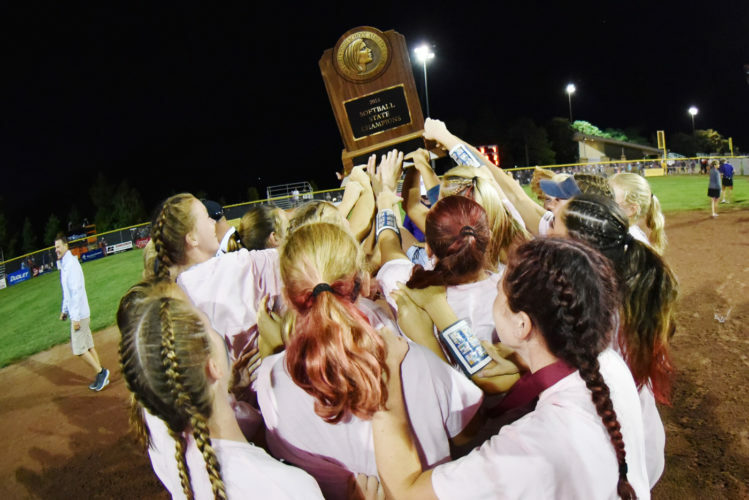 It worked to perfection, as seventh-ranked Pleasant Valley secured a 8-2 victory to become the first non-CIML school since 2002 to take large-class gold. 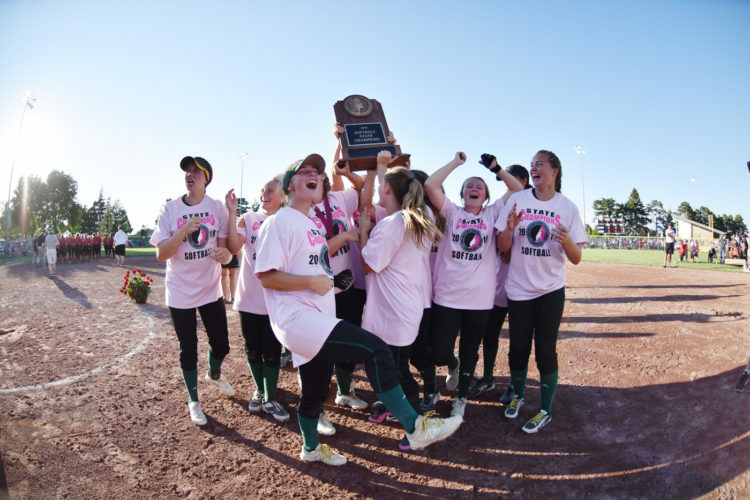 “The game doesn’t know which two teams are playing,” said PVHS first year head coach Jose Lara, who was an assistant on last year’s runner-up squad. “We just had to come out and make it happen. A little over two weeks ago in the regular season, Waukee beat Pleasant Valley 5-0 behind a one-hitter from University of Michigan recruit Sarah Schaefer. The Spartans saw what they needed to see, though, and adjusted their approach accordingly. They were much more aggressive early in the game and, more specifically, in the count. The first three PVHS batters reached on three total pitches. Leading Spartan hitter Alexia Lara (.492) then got on with an error after trying to lay down a sacrifice. “We wanted it so bad,” Alexis Lara said. “We had a plan coming in. We knew we wanted to be aggressive and swing at the first pitch and jump on (Schaefer) early instead of letting her work the count. The Spartans shocked the Warriors, taking a 6-0 lead before 5A’s top-ranked squad had a turn at-bat. Waukee plated a run in the first and second. Pleasant Valley would add two more insurance runs for good measure. 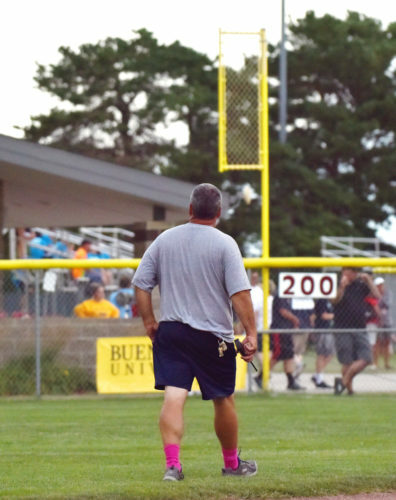 The eight runs by the Spartans was the second-most scored against Waukee and by far the most against Schaefer. 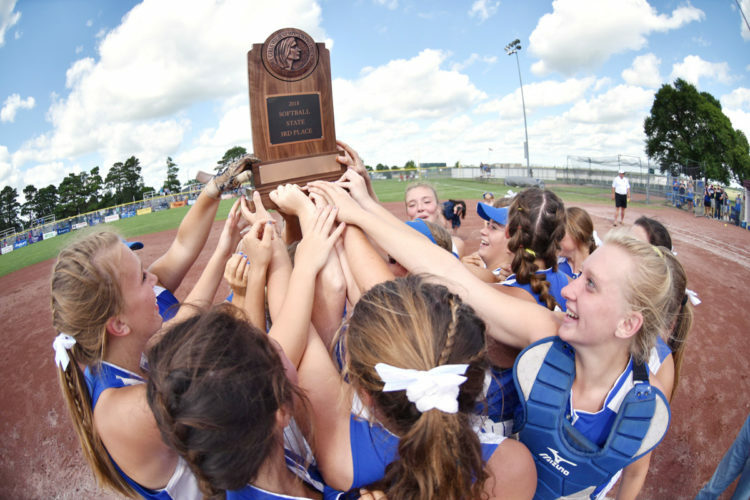 Class 5A all-tournament captain Carli Spelhaug went 3-for-4 with an RBI and two runs scored for Pleasant Valley, which led 2-1 in the bottom of the seventh with two outs against Johnston last summer before suffering a heartbreaking 3-2 setback. Hannah Mausser was 2-for-3 with two RBI. Spelhaugh ended the tournament 6-for-12 with an RBI and home run. “We watched a lot of game film,” Spelhaugh said. “We knew we wanted to going in there on the first pitch and attack. Lara also earned all-tournament honors after going 2-for-9 with two RBI and a home run. She had win and a save in the pitching circle. Teammates Emily Wood and Rachel Tebbe were picked for the all-tournament squad as well. After the victory, Wood admitted the celebration was scripted. Ellie Spelhaug (21-5) picked up her second win of the tournament, going five innings, striking out two and allowing only three hits. Lara pitched the final two innings for the Spartans. “Our pitchers came out and executed,” Lara said. “We’ll let this soak in and we can celebrate this for a while. Kelli Fogt drove in a run for the Warriors. Schaefer and Delaney Taylor were picked to the all-tournament squad for the Warriors. Schaefer finished the tournament 2-1 with 21 strikeouts. She was 4-for-10 at the plate with three RBI and home run. Taylor was 3-for-10. 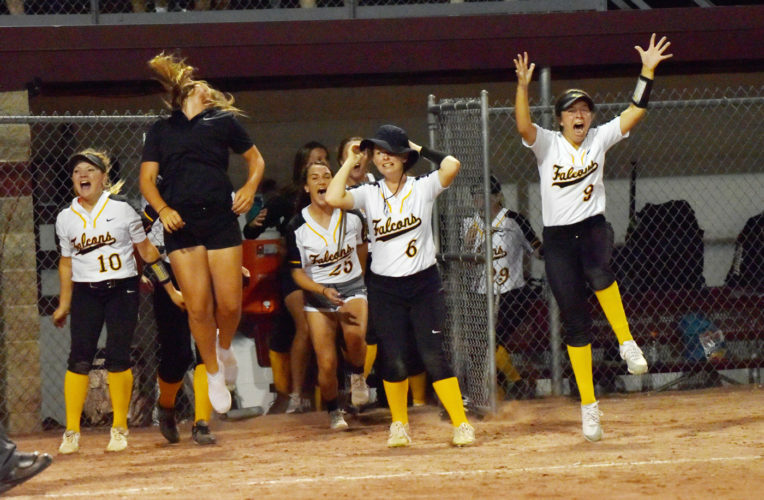 The two schools took to the field nearly an hour and half behind schedule after a steady dose of ran hit Rogers Park, pushing back the start time of the championship round. Ellie Spelhaug (W, 5IP, 3 hits, 1ER, 0BB, 2SO); Alexia Lara (2IP, 1 hit, 0ER, 0BB, 2SO); Sarah Schaefer (L, 7IP, 9 hits, 6ER, 2BB, 5SO). 2B–PV: Rachel Tebbe; W: Kasey Costa; HBP–W: Molly Platte; SACB-PV: Molly Lafever, Alexia Lara; SB–PV: Carli Spelhaug, Claire Bebow.